Throughout a career that has spanned academia, industry and consultancy, Dr. Monica Tocchi’s has always pursued a single goal—making it easier for valid healthcare innovations to reach the market. One of the most recognized clinical research experts in Europe, Dr. Tocchi has over 20 years of experience in the medical device sector, spanning clinical use, research, conformity assessment, compliance and vigilance. She has served as clinical investigator at prestigious medical centers in Europe and the United States and has authored multiple landmark studies published in U.S. peer-reviewed journals. 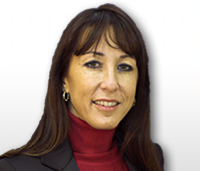 Dr. Tocchi is Medical Director of Meditrial Europe, an international contract research organization, where she works with leading medical companies to develop and manage clinical studies. She is abreast of international regulatory standards and currently serves as a member of the ISO committee developing medical device clinical investigation standards. She is also an expert involved in the revision of transcutaneous cardiac valve standards. Dr. Tocchi remains committed to sharing her scientific, medical and regulatory knowledge through training sessions for clinicians and industry and by speaking at major international conferences.